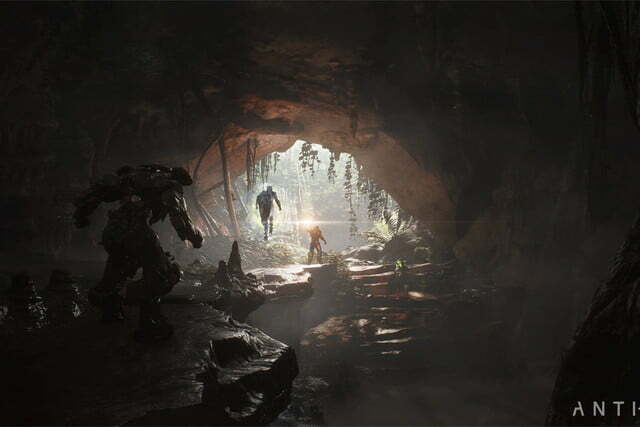 Prior to the E3 2018 gaming conference, Electronic Arts revealed that Anthem will arrive on the Xbox One, PlayStation 4, and PC on February 22, 2019. 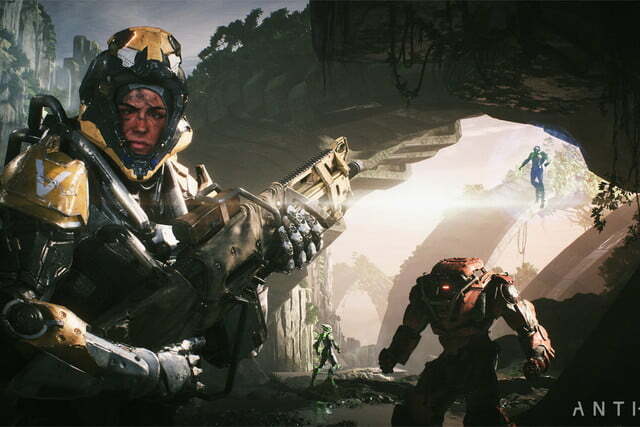 At the show, members of BioWare sat down on the stage to answer a few questions about the upcoming shooter, and presented a demo to remind us of the awesome gameplay coming next winter. 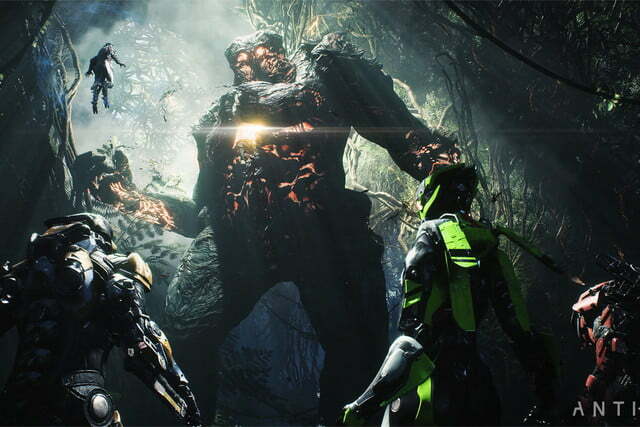 To some degree, Anthem is similar to Destiny in that you can play through the main story on your own — although BioWare says it’s “challenging” — or team up with others in co-op gameplay. 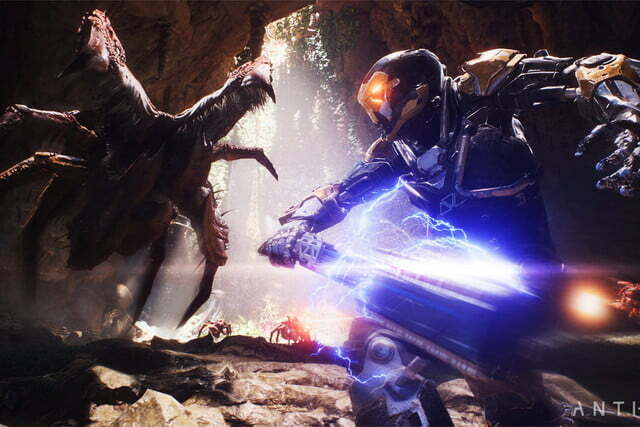 Anthem is also designed to host additional stories for “years to come,” just like the Destiny games. That extended shelf life could include a new moment with a character you’ve come to love, a mission taking you deep into the lore, or a world event. 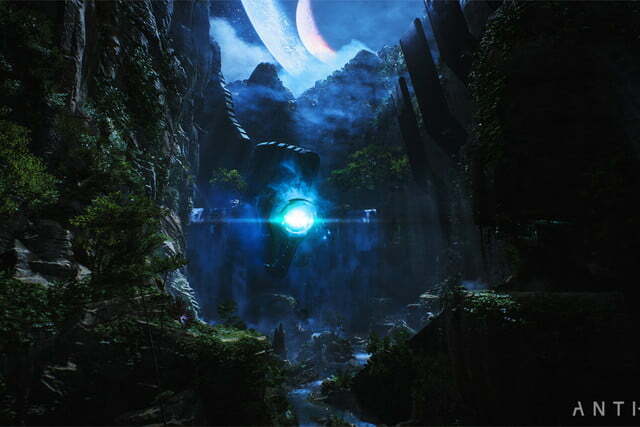 But the huge difference between Destiny and Anthem is the latter game’s environment, as it’s constantly changing based on seasons, weather, world events, and so on. Based on the demo, you mostly travel from point A to point B, flying in your highly customizable “Javelin” exosuits. BioWare promises deep customization given you’re wearing these outfits for the long haul, including changing their geometry and colors. Players assume the role of a freelancer who’s uniquely skilled to drive these suits. 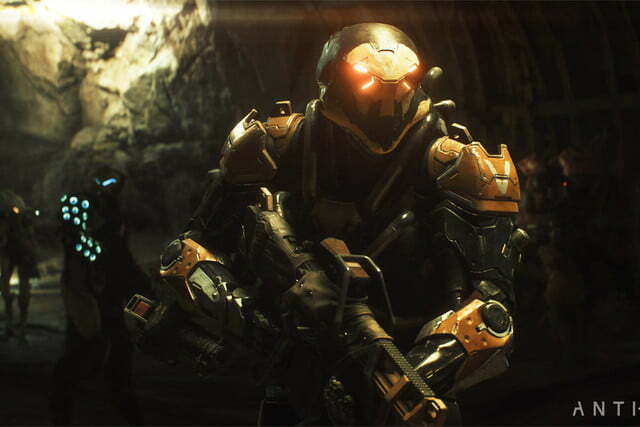 There are four in all: The Ranger that’s good at one-on-one combat, the Colossus designed for heavy artillery, the Storm, and the Interceptor. You can switch between these suits depending on the mission at hand, your mood, and other factors. 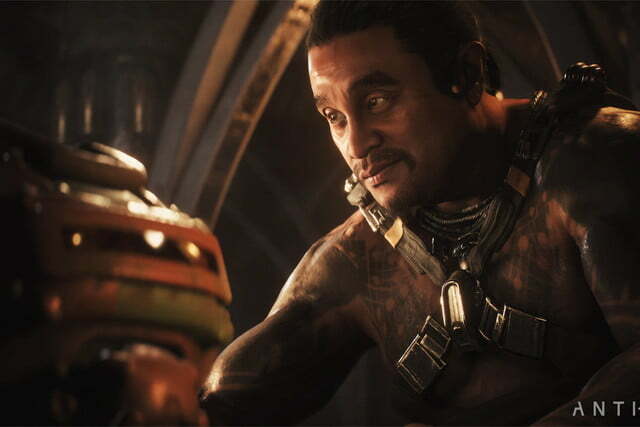 You’ll also have an option to purchase cosmetic and vanity items, but that’s it: There will be no “loot boxes” or premium weapons/armor to purchase. The design of Anthem centers around an “our world, my story” concept. When out in the open world, you face a dangerous environment and focus on completing the current mission. This is where other players can join. All gamers play in a living, shared world and everyone experiences the same changes in weather, rise and fall of the sun, etc. After completing a mission, you can return to your base and collect your rewards. 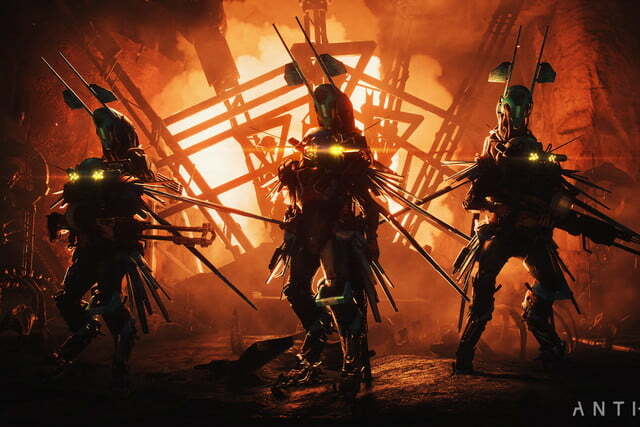 This aspect is a “single-player” experience where you converse with characters and face the consequences of your actions. 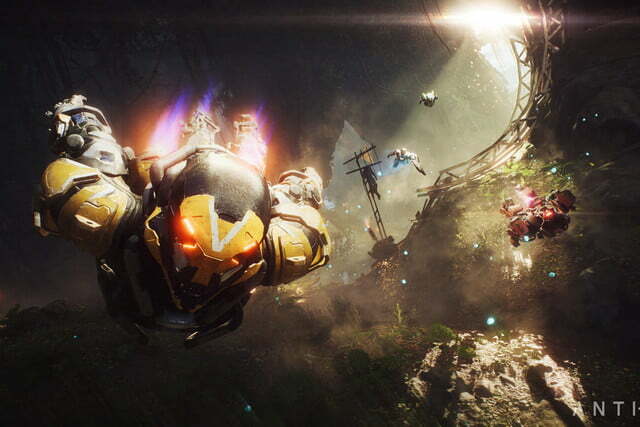 According to BioWare, this is where your story “really lives and breathes.” Anthem will not be an MMO, nor will it be a multiplayer game with a story tacked on. 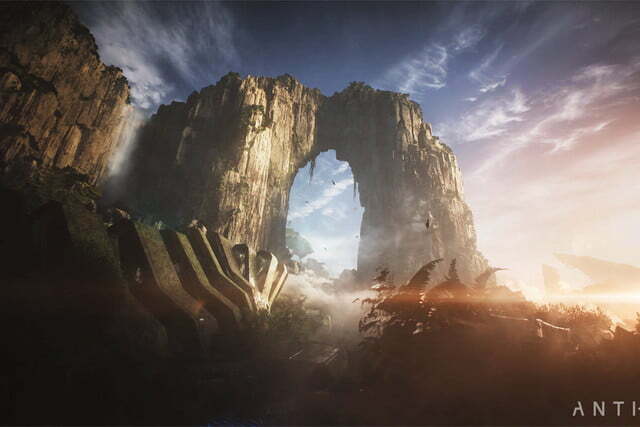 Lead writer Cathleen Rootsaert said the gods abandoned their massive tools and left the world unfinished. These tools are in constant conflict with an “unknowable force” called the Anthem of Creation. The chaos caused between those two factors is constantly reshaping the world, causing violent storms, mutated creatures, gigantic monsters, and more. It’s a dangerous world that requires exosuits and comrades. As for the gameplay demo, it revealed a lot of flying. The mission had a team invade a base housing a superweapon, and ended when they entered the heart of the base and a giant monster dropped in to say hello.